Trust me, this refreshing water tastes just as good as it looks! 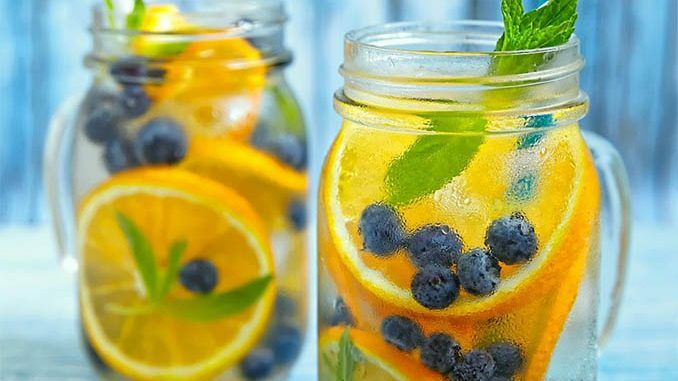 The citrus taste of oranges combined with the almost citrus like (but sweeter) taste of blueberry will add flavor to your water like you’ve never had before. Not only will the blueberry & orange water taste good while you drink it, this powerful combination will also offer fantastic benefits to your body including an all natural toxin flush, suppressed appetite, the release of fat cells, and an overall improved mood. 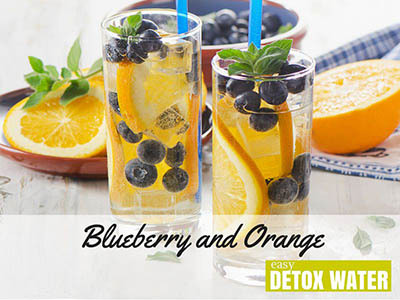 Follow the easy blueberry and orange detox water recipe below and enjoy a fresh glass before the day is over! Once you’ve placed the oranges and blueberries into a pitcher of ice water you’re ready to go! It’s important to remember that water can naturally increase your metabolism which is a great thing. Oranges are packed with Vitamin C which is known to help tone and replenish your skin while blueberries are packed with antioxidants and fiber that keeps you healthy. Drinking this mixture of oranges and blueberries every day offers multiple health benefits that you won’t get with from soda.